Check us out in these available resources! 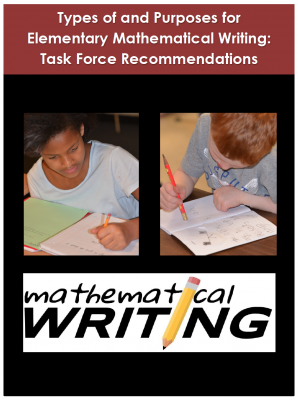 The original recommendations of the Elementary Mathematical Writing Task Force are outlined in this white paper. Casa, T. M., Firmender, J. M., Cahill, J., Cardetti, F., Choppin, J. M., Cohen, J., … Zawodniak, R. (2016). Types of and purposes for elementary mathematical writing: Task force recommendations. 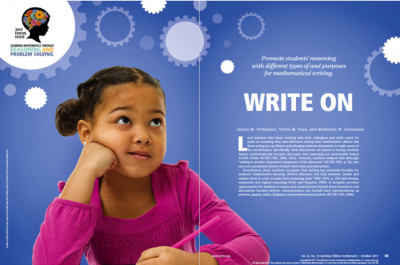 Learn how to engage elementary students in reasoning through mathematical writing in this Teaching Children Mathematics article in their 2017 Focus Issue addressing Learning Mathematics Through Reasoning and Problem Solving. Firmender, J. M., Casa, T. M., & Colonnese, M. W. (2017). Write on: Reasoning through mathematical writing. Teaching Children Mathematics, 24(2), 84-92. 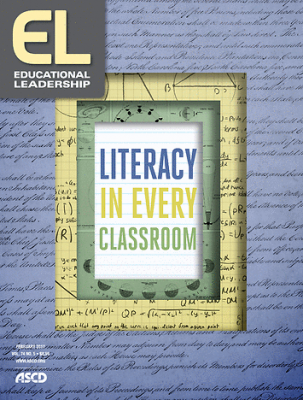 We answer the question, “Why should students write in math class?” in this Educational Leadership article in their Disciplinary Literacy-themed issue. Casa, T. M., Evans, K., Firmender, J. M., & Colonnese, M. W. (2017). Why should students write in math class? Educational Leadership (Disciplinary Literacy theme), 74(5). Here we present a synthesis of what is available in the research literature that focused on assessments, interventions, and surveys attending to math writing. Powell, S. R., Hebert, M. A., Cohen, J. A., Casa, T. M., & Firmender, J. M. (2017). A synthesis of mathematics writing: Assessments, interventions, and surveys. Journal of Writing Research, 8(3), 493-526. Check out how to engage talented students in mathematically creative writing. Firmender, J. M., Dilley, A., Amspaugh, C. A., Field, K., Lemay, S., & Casa, T. M. (2017). Beyond doing mathematics: Engaging talented students in mathematically creative writing. Gifted Child Today, 40(4), 205-211. Read how mathematical writing stands out as disciplinary-specific writing. Colonnese, M. W., Amspaugh, C. M., LeMay, S., Evans, K., & Field, K. (2018). Writing in the disciplines: How math fits into the equation. The Reading Teacher, 72(3), 379-387. Dorl, J., Casa, T. M., & LaBella, E. (in press). Developing expressive mathematical language in your students. To be published in Young Children. Check back for more information about these projects! Madelyn Colonnese has developed Instructional Guidelines for Elementary Mathematical Writing. Their purpose is to help teachers take the recommendations of the Elementary Mathematical Writing to the next level and implement them in ways that enhances their students’ mathematical reasoning as they write. 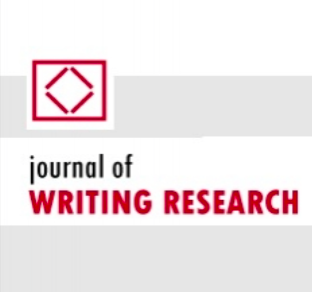 Tutita Casa, Jeffrey Choppin, and Judit Moschkovich have proposed a research agenda for mathematical writing to support future studies and practices focused on writing to reason mathematically.